I love the colors and the geometric designs here, not to mention the stripes in the background! For the main panel I stamped the Hero Arts Canvas stripes stamp with Black on Gray card stock. Then I die cut the “Absolutely” on top using the Simon Says Stamp die. The coordinating sentiment is embossed in white. 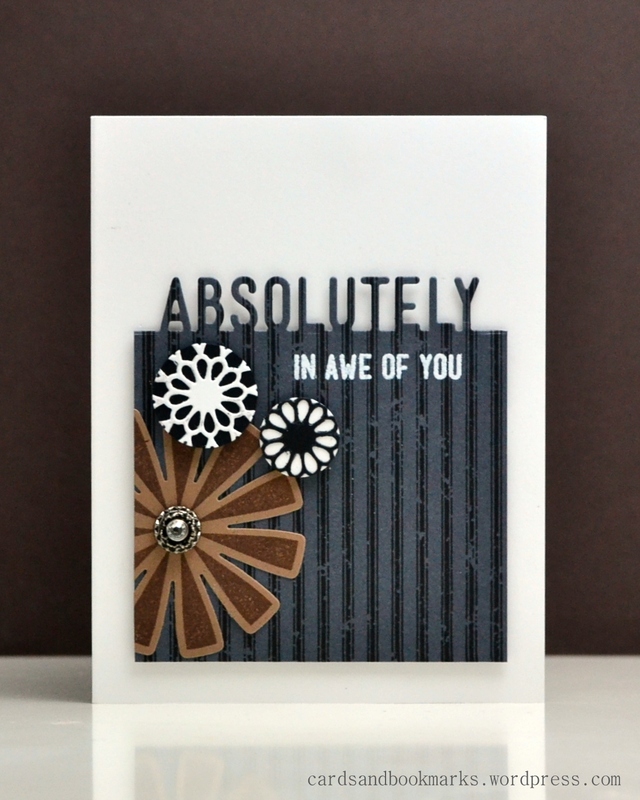 The eye-catching black&white embellishments were made using the SSS Delicate Dahlia die. 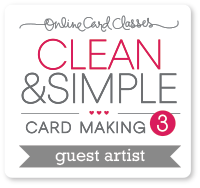 I simply glued the die cuts on the contrasting card stock and used a circle punch to punch them out. I used the Hero Arts Bold Pop designs for the brown burst. I also added a SU! Antique brad at the center, then decided to cover the the center of the brad with a rhinestone (which shines white) to balance the other two embellishments. One thing I want to mention about this card is when I was designing it, I hadn’t seen the trigger photo for some days. I thought of taking a peek but was a little pressed for time, so I just went with what I remembered. Frankly, what I did remember was two black & white prominent elements and the background stripes. Later, as I was posting this, I realized that the brown burst resembles the cage and even the antique brad resembles those brass pots in the picture. Complete coincidence but good ones 🙂 I think sometimes it is a good thing not to have the inspiration photo in front of you or look at it too much, and just go with what you remember from the first look. fantastic issies altogether, you just won a new reader.